Dieting does not work. Now that may come as a blow to all the brides out there who are busy starving themselves into next week so that they can look good in their dresses, but save yourselves the money and the anguish for the following reasons. It isn’t that a diet won’t help you lose weight. Chances are that it will, initially, but very few diets are compatible with your lifestyle, which dooms them to failure. Finding a diet you can stick to is more about changing the way you eat, than finding a crash diet to help you take off 5 kg that will creep right back on, the minute you’re off the diet. Scientists in a study in California found that whilst people typically lose 5 – 10% of their weight in the first 6 months of a diet, 33 – 66% of them regain more than they lost within 4 to 5 years. Diets make you feel deprived, and thus hungry all the time. In fact, you think about food all the time (which makes you crabby). Cutting your calorie intake at a time when life is already stressful (planning a wedding) is adding fuel to fire. And the body responds by slowing your metabolism, if starved of food. Where’s the pleasure in food if you’re on a diet? And leading up to the wedding you’ll be around friends and family and in the throws of socialising. You don’t want to have the stress of restricting your food intake at a time like this. You’re going to lack energy if reducing your calorie intake, which means you’ll constantly feel exhausted. At this stage, you need to be eating lots of small meals, not skipping meals entirely. 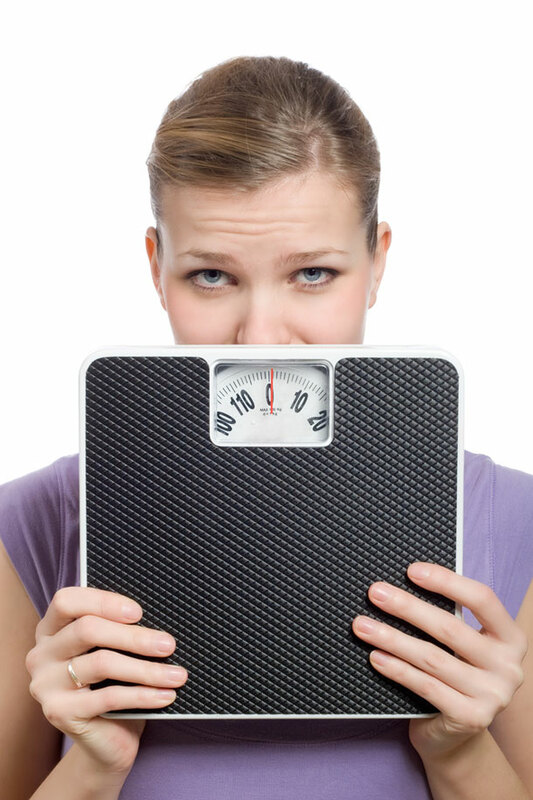 So what can you do, if you really want to lose weight? Consider that in the countdown to your wedding day is probably not the right time to go on a diet. Now would be a good time to accept yourself exactly as you are. Lose the diet concept and follow a healthy eating plan – satisfying and nutritious food – that incorporates exercise. If need be, see a nutritionist who can help you choose foods that fit your lifestyle. To really lose weight it isn’t just your nutritional habits that need to change.